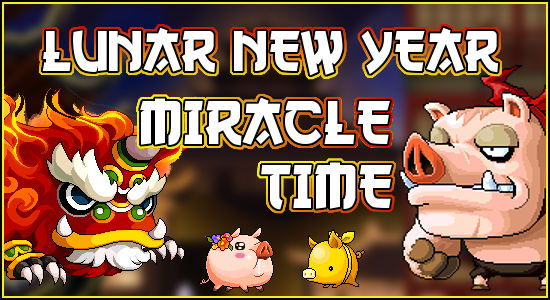 Come and celebrate your Lunar New Year weekend preparations here with a Double Miracle Time event! 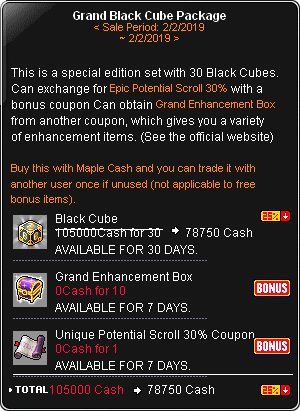 Grand Cube Packages will also be made available in the Cash Shop, just for this entire day! During this period, lucky players will be granted a "Double Miracle Time Blessing" if they successfully upgraded their equipment's rank up to the Legendary tier! The blessing grants a map-wide buff which gives Weapon Attack +30 and Magic Attack +30 for 15 minutes. 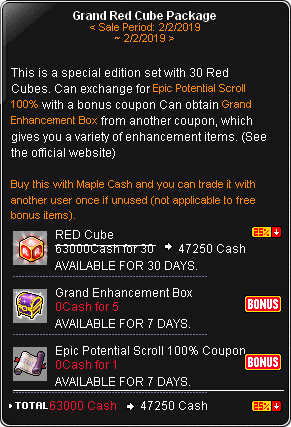 Double Miracle Time increases the chances of upgrading equipment rank for Red & Black Cubes! May the Year of the Pig shower you with its blessings of prosperity and luck!